The Software Installation Flowchart is a diagram allowing for clear visualization of the steps needed when a software is being installed on a personal or work machine. Software Installation Flowcharts are used in many organizations to help employees with different level of computer literacy easily manage new installs. 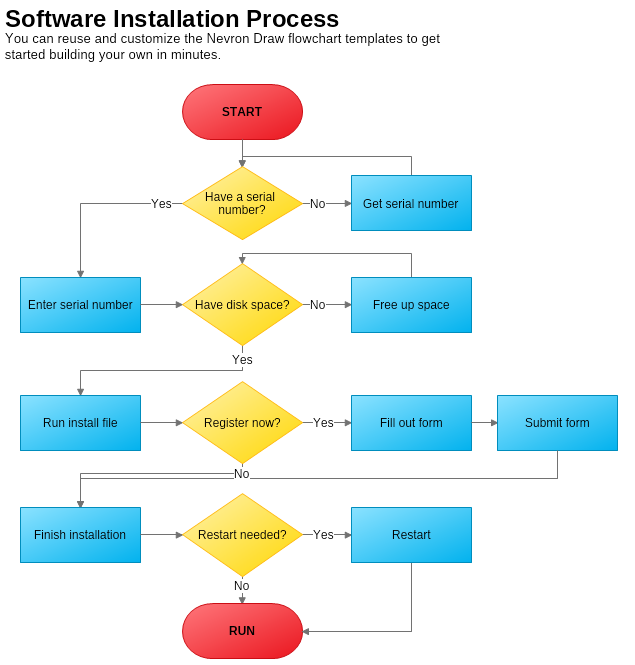 Download this free template to get started with your own Software Installation Flowchart quick and easy.